An exciting weekend gave me further encouragement to blog. The invitation to preach at the New Covenant Church came through the new media. Peter Sze had been reading blogpastor.net for two years and we became friends on Facebook. He announced one day that he was starting a new church and I politely mentioned that I would love to visit it when I visited Kuala Lumpur. He said, “Better still, why don’t you preach?” That was late last year, and now seven months later, the church has grown remarkably to an attendance of over 200. 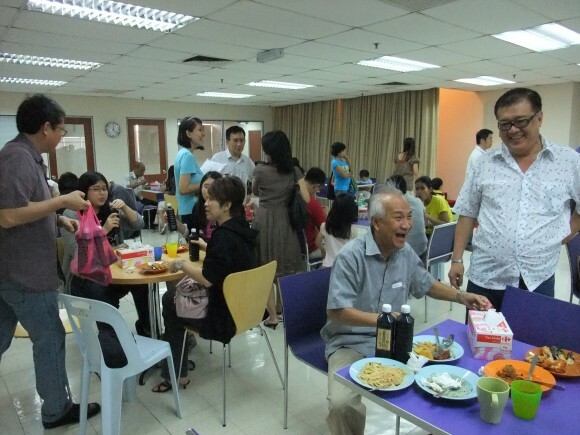 And I had preached there the Sunday before I had my own church camp in Glenmarie Holiday Inn, KL. On the balmy Saturday evening of our arrival, a couple, Alex and Karen, two lawyers who had just joined the church, brought me out to taste the best bak kut teh (pork ribs soup) in all of Klang valley. It was so good that it was sold out by the time we arrived. So we went next door to a restaurant designed to benefit from the spillover crowd….. folk like us. 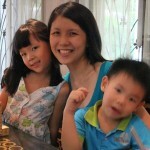 Nevertheless my wife and I tasted warm Malaysian hospitality that night and throughout our short stay there. The New Covenant Church is located in the suburbs of Petaling Jaya, in a shopping center that had seen better days. It was cavernous for a new church plant, with a large fellowship hall, that had a staircase that led up to an auditorium that seated over 300. When you start with 30 people, leasing such a big space requires quite a stretch of one’s faith. The service began at 10.15am. The songs were familiar and one was a song from a New Creation Church album, “I see grace”. Standing in the front, I noticed a little Indian boy lingering in the front to be held by the pastor. It was the third time the family had visited the church. Then it was announcements, testimony and the Holy Communion, which they served every Sunday. No offering was taken. Those who were moved could put their offerings in several offering boxes on the walls. The sermon I preached was titled, “The Church of the Prodigal Son”. There was a spiritual liberty and the message connected with the congregation, and we had an impactful time of prayer ministry at the altar. Thankfully, the message was well received. Lunch was food cooked by people and brought to church in trays and pots. There was no roster. People cooked as they were blessed and wished to contribute. During the fellowship, I had my first experience of meeting datuks at close quarters. I had supposed most datuks were unhappy, snobbish people but Datuk Tony and Datin Alicia, and another Datuk Roland, were all smiling and happy and without airs. This new church and the gospel it preached had drawn people from different races and social status together. The Nepali security guard may sit next to Chinese lawyers; Indonesian maids worship with businessmen; and the datuks lunch in the same hall with the struggling widow and the marginalized of society. What I saw there, was what Jesus came to form: an “odd” company of men and women fitted together by grace, indwelt and united by the Spirit. It can be called a Jesus community- like the people who gathered around him when he was on earth, a mix of disciples and seekers and needy. Fifty eight isn’t the right age for someone to birth a church. Then again, God is used to doing the exceptional. 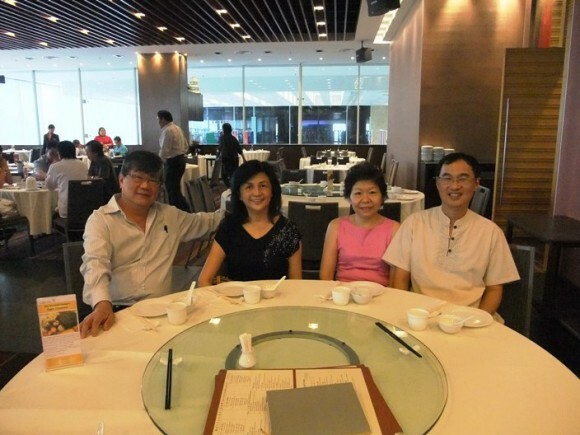 Peter Sze, a busy managing director of a large Malaysian company with a multi-national presence, had been a committed Methodist layleader for years. Together with external circumstances, something had been gestating in him to thrust him out into planting a new church, but it was a confirmation through a prophecy from “down under”, that propelled him to take immediate, concrete steps of faith. Having been convinced of the gospel of grace, Peter envisioned a church that majored on celebrating the Christ and the finished work of redemption. Their early sermon series on “The New Covenant”, expository studies on the book of Galatians, and currently a series on Joseph, reveal an attempt to be more systematic and expository in their approach to the message of grace. Even the small children’s church are being taught the “indicatives” of who Christ is and what He has done, rather than the typical moralistic tones of most Sunday School content. One of the reasons for the rapid growth of this church is that he does not face traffic jams in decision-making. Very quickly the church was set up: leasing, renovations, audio-visual system and musical instruments, stage, CDs duplication, and online presence through Facebook and a dedicated website with podcasts – all within 6 months. They have also begun to venture into missions partnership with workers in Cambodia and a missionary in Muslim Africa. He also has the kind of confident trust in God that enables him to make decisions without unnecessary dithering. The Kuala Lumpur traffic crawl is more descriptive of those who prefer the traditional perfect will of God route, than the highway of God’s love he is happier to travel on. Move in faith and the Lord will direct your steps. God is so big, there is nothing to fear. 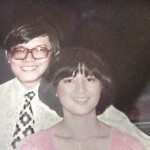 Peter and his wife, See Fen, are complementary in personality and ministry. One is into the big picture and the communicator, the other has great compassion for the down and out and demonstrates a down to earth love for members living in the margins. Their marriage was recently featured in the newspapers, and from what I read, the engineering student inundated the “most beautiful girl in Segamat” with 1,000 letters and won her over. See Fen has this large reservoir of patience and love for the powerless and needy and this has rubbed onto Joanna her daughter, who at one time was working full time with the poorer Malays and Indons in the low-cost housing areas of Subang. The future of this church is very bright from what I have seen. Its response to the message of the gospel is remarkably balanced in the breaking of distinctions of race, wealth and social class; its involvement in missions; its care for the needy; and its concern to preach and teach grace in a systematic, Bible based, and comprehensive way that included modifying the children’s curriculum. I heard there are other “grace-based” churches in KL and Kuching. God willing, I would like to visit and blog about them too. It’s fun to discover small churches and make them known, to give them a face and a voice. It gives the larger body a sense of the richness and diversity of the church of Jesus Christ. There are many great small churches of all denominations and sizes in the east coast and west coast of Malaysia doing unrecognized tasks for the kingdom and God willing, I’d like to visit them. Thanks Pastor Kenny . Your concept on the prodigal son made me look at the story with a more meaningful understanding. Thanks for introducing us to a church like this. Good to read and God is such a gracious Big God! 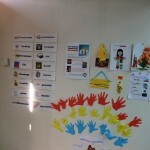 What are other grace based church in kl/pj as you mentioned? Peter Tze is a great chap, I met him on Fb too. I hope one day blogpastor get to be invited to preach in Penang, then I will host you around. Or better, come here for a weekend getaway! Yes Steven, it would be nice to go up north and visit the churches there and meet up with you. I’ll pray for an opportunity to do so. God is Good and He blesses us Big all the time! Pastor Peter is one who pastors, mentors, guides, and most of all; a friend who blesses everyone Big because he knows God! We are so blessed by him and his family! Praise the Lord! Main of the reason for the rapid growth of this church is that the Senior Pastor preach Jesus and His Finished Work. Grace is about Jesus and Jesus alone! Grace is a person who give-up everything for us so that He can gives us everything. When you up-hold Jesus, our Father will up-hold you. You cannot finished with empty nets, just like those fishermen found out when they encountered Jesus at Galilee. Fishes will swim towards you when you look at Jesus. You hand will be blessed so that you are a blessing to others. Thank you for sharing this, BP! NCC truly sounds like a church in the mold of the early NT church. Personally I like that the offering boxes are on the walls, and that no offering was taken during the service. I made two trips to KL/PJ this year alone (it’s been years since I visited as you know I have been away from SE Asia) so both times I heard Peter Tze’s name mentioned in relation to the church start. I did not have the opportunity to visit NCC. I have never visited DUMC even though I have heard alot about it. The Sunday I was there, I was able to worship at SSMC. Maria, U are always welcome to visit tNCC. Pastor Kenny, I really enjoyed reading your write up on this church, New Covenant Church. After listening to lots and lots of Pastor Jospeh Prince’ anointed messages, all I want is to attend a church which unveils more and more of the loveliness and beauty of our Lord Jesus and this sounds like the church I would love to be in. It is so important to me that Jesus and Jesus alone is exalted in churches. So, I am going to make my there this Sunday. 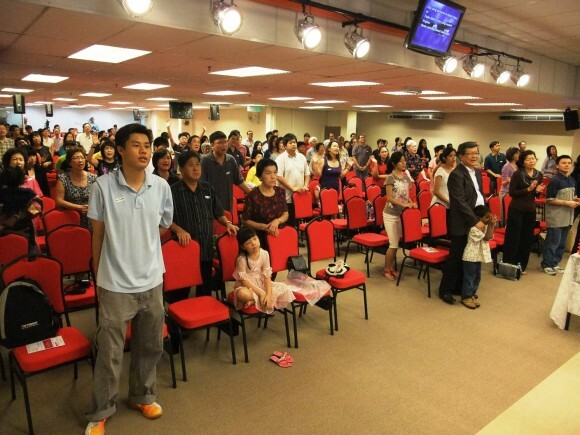 It is really hard to find a real grace-based church in Malaysia. Many say they are but they still hold on to rituals and what not. How do you really define your grace based church and what is the difference? Go for a church that focus on discipleship and that will be one that focus on Jesus as the great commission given by Jesus is to make disciples and not just converts.Jesus also has alot to say on what a true disciple is.